It’s a long road to a championship season, and even longer for a Robert Morris football squad that has not even seen a winning season since its 2010 NEC championship run. 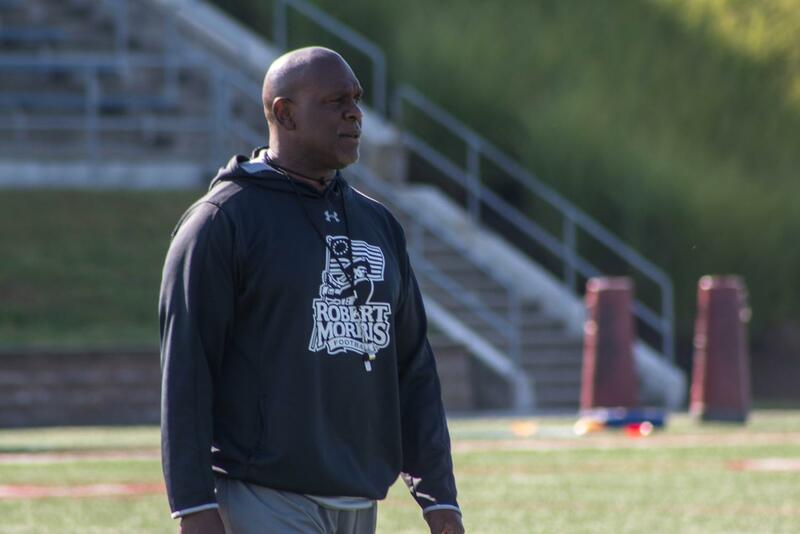 But first-year head coach Bernard Clark and his revamped coaching staff look to change the tides, and the perspectives of what might be the most scrutinized team at Robert Morris University. If one attends a Robert Morris football practice, the atmosphere and the feeling is completely different from years past. Hustle from start to finish is what defines these hot summer days as music blares from the Joe Walton Stadium speakers. 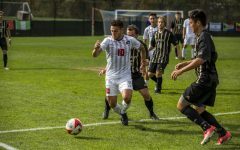 It’s a feeling different from any era of Robert Morris football before it, carrying an intensity and competitive nature that seemed to be lacking in the last decade. Clark’s brief tenure so far as head coach has been highlighted by the many changes he has made to the entire culture of the team. One of the biggest changes being the move to put the players names on the backs of the team’s jerseys. A historic and unprecedented move that Clark said was inspired by one of his assistant coaches. Each coach went through and discussed what their name meant to them. Coach Clark discussed how he enjoys being a junior in honor of his father who he respects for his incredible work ethic and hopes that he himself can emulate that. Clark discussed how the name on the back not only represents the individual player but also their family. The idea behind it all is that not only are you playing for the team, but also for every single individual name and person that graces the RMU sideline and the families which they each represent. And with such a big responsibility, the importance comes in holding oneself to the highest standard both on and off the field. This mentality holds strong with coach Clark because he believes that being a Colonial should mean so much more than just what happens on the field, it should be preparing you for a life after football. Another new feature that Clark has implemented this season has been the RMU Football leadership committee. Which features: Delano Madison, Adam Wollet, Jimmy Walker, Amir Fenwick, Tuvall Brown and Eric MccAllister. These are the players that Clark said have worked the hardest every single day during the spring and continued that into the dog days of summer training camp. The committee meets with Clark every Sunday to discuss any issues the players may have, what jerseys they want to wear that week and to just keep an open dialogue between the players and the coaching staff. Clark described how redshirt junior defensive back Tuvall Brown brought up the move last season to have the team’s benches moved across the field and away from the crowd. Brown told coach Clark that the team always felt like they were on the road, even at home, and requested the benches be moved back to the side of the field closest to the Colonial fans. Clark agreed to make the change but also provided his own caveat as part of the committee’s open dialogue. 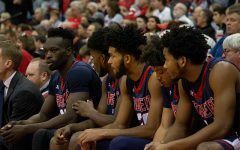 The ultimate challenge will finally begin this Saturday in Dayton, Ohio, when the Colonials take on the Flyers of the University of Dayton, a team they beat last season for the first time in 17 years. 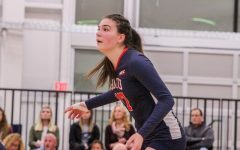 It will be there, that all of the changes and mentalities that coach Clark has tried to instill in his players will finally be forced to come to fruition or fall flat. It is still a long road ahead, but it is the belief among many within the organization that no matter what happens, the future looks bright for Robert Morris football. And that perhaps a new Colonial culture is here to stay.